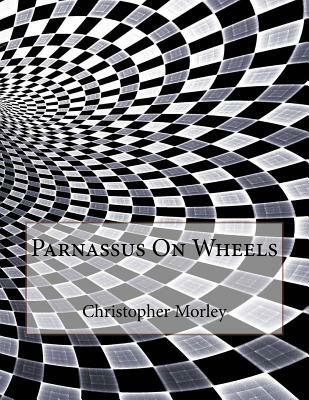 Parnassus on Wheels is Morley's first novel, about a fictional traveling book-selling business. The original owner of the business, Roger Mifflin, sells it to 39-year-old Helen McGill, who is tired of taking care of her older brother, Andrew. Andrew is a former businessman turned farmer, turned author. As an author, he begins using the farm as his Muse rather than a livelihood. When Mifflin shows up with his traveling bookstore, Helen buys it--partly to prevent Andrew from buying it--and partly to treat herself to a long-overdue adventure of her own. The first of two novels to be written from a woman's perspective, as well as the prequel to a later novel (The Haunted Bookshop), Parnassus on Wheels was inspired by David Grayson's novel, The Friendly Road, and starts with an open letter to Grayson, taking him to task for not concerning himself (except in passing) with his sister's opinion of and reaction to his adventure. Notice: This Book is published by Historical Books Limited (www.publicdomain.org.uk) as a Public Domain Book, if you have any inquiries, requests or need any help you can just send an email to publications@publicdomain.org.uk This book is found as a public domain and free book based on various online catalogs, if you think there are any problems regard copyright issues please contact us immediately via DMCA@publicdomain.org.uk.